preferences for processed and fatty foods. As things are turning out, obesity is increasingly being equally linked to poverty. This may appear to be a contradictory scenario but may not really be so, at least not in all particulars, on closer interrogation. It has been found in some well to do cities that the map of obesity matches very well the spatial spread of poverty in such cities. This underlines the fact that hunger is a political issue. A report by the United Kingdom based think tank, Overseas Development Institute, titled Future Diets, released last week indicated that the number of the obese now more or less matched that of the hungry globally. That did not come as a surprise to some observers because the trend has been clear for some years now. Indeed the figures that made the headlines were from statistics covering the period between 1980 and 2008. Much of this weight gain has come from consuming more fats, oils, sugar and animal products. It is expected that more heart attacks, strokes and diabetes go with this eating habit. What is alarming about the report is that about one billion obese persons are found in the developing world. And the numbers may rise unless urgent actions are taken to arrest the scourge. About a billion persons go to bed hungry everyday while three times that number do not eat well (when we put together the obese, overweight and micronutrient deficient persons) according to the United Nations Food and Agriculture Organization. There are a number of reasons for the unfolding scenario. With regard to Africa the rapid rate of urbanization has the implication of many no longer producing the foods they eat and depending on often imported and processed foods. There is also the increasing tendency to eat fast foods whose attractions are flavourings, colourings and other additives besides the loud music and flashy colours of the stalls. The prescriptive hunger narrative driven by agribusiness compounds the challenge for Africa. The routine response to droughts, crop failures and/or famines of the past was to ship in food aid. That response pattern was beneficial to the farmers in the donor nations but harmful to local food production as it builds a dependency syndrome. A side effect of this dependency is an altered diet and eating pattern that negates local food preferences that were healthy and more environmentally suitable. Part of the packaging of food aid was sometimes the surreptitious, and at times blatant, push of genetically engineered foods on the basis that a hungry African has no right to choose what to eat. The epic struggle of Zambia against genetically engineered whole grains food aid in 2002 is well documented. The new emphasis on nutrition deficiency in African diet is currently being touted as a reason to introduce genetically engineered foods allegedly having particularly high levels of missing nutrients. The silver bullet for both food shortage and nutrient deficiency is genetically engineered foods and must be accepted by all. However, the real beneficiaries of this prescription are agribusinesses who would control the seeds, grab lands, promote monoculture and colonize the food systems of the continent. What our policy makers need to recognise is that small-scale farmers will continue to have key roles in meeting the food needs of Africa and the world. And their production approach has inbuilt ability to fight malnutrition, including obesity. 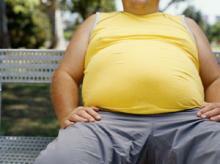 Reports from a nutrition conference held in Lagos, Nigeria, late 2013, claimed that 30 percent of Nigerians are obese. They also reported that one in every three children in Abuja was obese while one in every five persons in the South South is obese. You would be pardoned to think that the traffic jams on our streets are not caused by our having too many automobiles on the roads but rather that we are too fat and are thus squeezing each other for space. When this writer posed the question to a nutritionist in one of our hospitals to clarify if things were as dire and as alarming as that, the response was that the ratio might actually be in the range of 20-30 percent nationally. The global figure is one in three persons, according to the UK think tank. Will things get better? Well, it depends on the direction of support given to the producers of wholesome foods in Nigeria. If we depend on industrial farms that rely on mono-cropping, chemical fertilizers, pesticides, herbicides we can be sure that small-scale farmers would be squeezed out of the sector. We can also be sure that the increasing number of shopping plazas that stock imported foods including vegetables and poorly regulated products would lead to a further erosion of the supply of wholesome local foods. Analysts predict that food for the poor will get scarcer as the well to do demand for more foods based on animal products because the animals will require more grains to produce. If rich Africans get hooked on western foods and consume meats and animal products at their levels then we can expect tragic results in terms of resource pressures and healthcare issues that would come with the increased incidents of strokes, heart attacks and diabetes, among others. When the poor get fatter that should send alarm signals to our governments because these are the persons who cannot afford the cost of healthcare that obesity demands. Industrial farms and market shelves piled with processed foods will not tackle the trend of eating our people eating more and more of unhealthy foods. The solution is within our grasps: support small-scale food production and return to grandma’s recipes.